Bathroom curtain 1,80 width x 2,20 height. Made of truly waterproof fabric with embossed patterns. It is washed in the washing machine and ironed. It has metal grooves on the top so it does not tear. The price includes the rings. 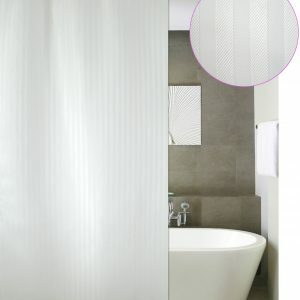 Bathroom curtain 1,80 width x 2,20 height. It is made of really waterproof fabric, is washed in the washing machine and ironed. It has metal hoops at the top so it does not tear. The price includes the rings. 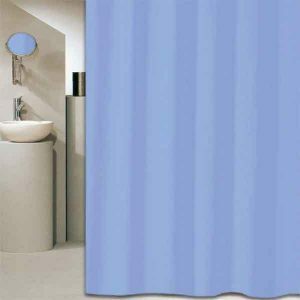 Bathroom curtain 1,80 width x 2,40 height. It is made of really waterproof fabric, is washed in the washing machine and ironed. It has metal hoops at the top so it does not tear. The price includes the rings. 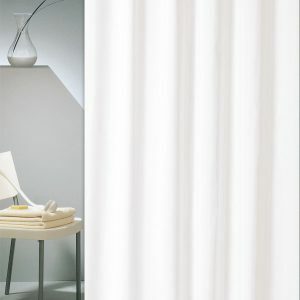 Bathroom curtain 1,80 width x 2,40 height. Made of truly waterproof fabric with embossed patterns. It is washed in the washing machine and ironed. It has metal grooves on the top so it does not tear. The price includes the rings. 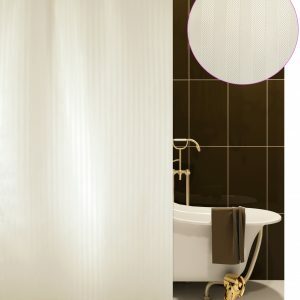 Bathroom curtain 1,80 width x 2,20 height. It is made of waterproof fabric, is hand washed with warm water. It has buttonholes at the top so it does not tear. The price includes the rings.